A $100,000 donation to DU’s Southern Prairies and Playas Initiative from the Austin, Texas-based Cynthia and George Mitchell Foundation will conserve land in the Texas playa lakes region. The foundation’s contribution will also be used to leverage other funds in support of playa lakes conservation in the Texas Panhandle. Playas are the most important ecological feature in the Southern Great Plains. These ephemeral, or temporary, wetlands are typically circular and range from 10 to more than 100 acres in size. Playas are numerous across the region. Approximately 80,000 have been mapped, the majority of which occur in the Texas Panhandle. In the past, some playas were altered by digging holes or ditches to collect and concentrate water for irrigating crops and watering livestock. Many of these pits and ditches are abandoned and can be easily restored. The spoil pile from the original excavation is often present and can be used to refill the pit. Once a pit is filled, rainwater and runoff can again reach the entire playa basin, which is essential for aquifer recharge. The shallow water that spreads across the playa also allows plants and insects to flourish, providing important food and habitat for migrating birds and other wildlife. 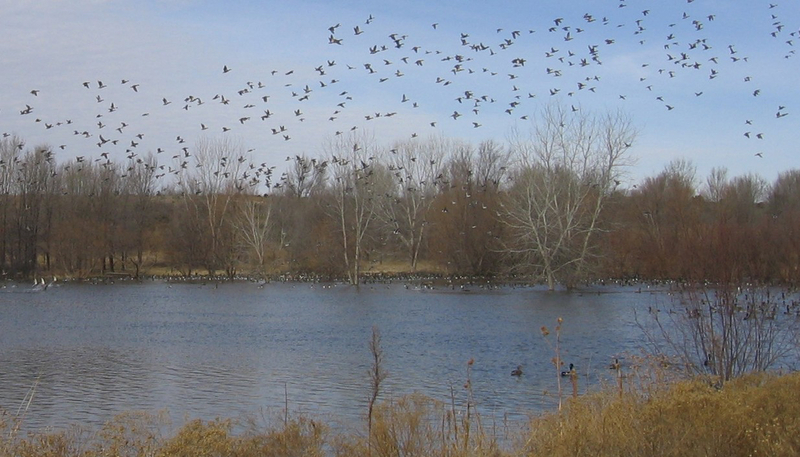 Over the years, Ducks Unlimited has worked with numerous partners on playa lakes restoration, including the U.S. Fish and Wildlife Service, Texas Parks and Wildlife Department, Playa Lakes Joint Venture, USDA Natural Resources Conservation Service, Texas Agricultural Land Trust, Texas Grazing Lands Coalition, Texas Tech University, The Nature Conservancy, Texas A&M AgriLife Extension, ConocoPhillips, and Ogallala Commons. The addition of the Mitchell Foundation as a partner will enable DU to continue efforts to conserve playas in the Texas panhandle.